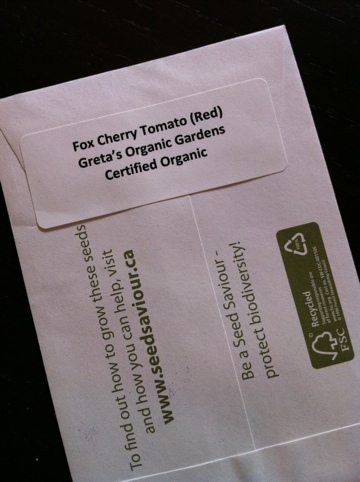 Behold–the first seed packet of 2011. All the potential of delicious, mouth-watering cherry tomatoes in tiny little seeds encased in paper. Now, seeing as it snowed in Ottawa today I don’t think I’ll be planting these little beauties anytime soon. So last year we attacked the Japanese lantern patch behind the house with great vigour. We attacked it over and over again. And still the Japanese lanterns returned. We started to plant new perennials in the patch to try and put a final end to the lanterns. The lanterns will never die, which is the one thing I’ve learned, but they are starting to die down a little bit. 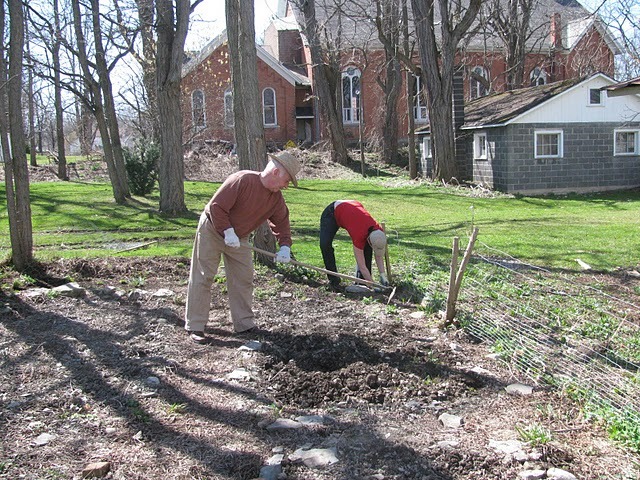 In this shot you’ll see that we’re starting to plant some of our veggies in the perennial area as well. 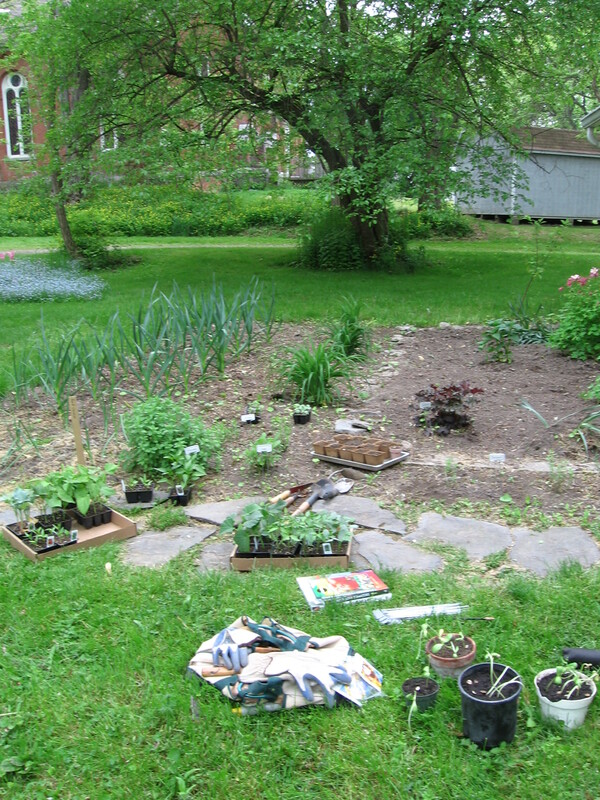 This is all part of a grand experiment (isn’t that what all of gardening is all about?) Are you even supposed to put perennials and veggies together? Are you even supposed to put plants over a crazy weed patch? We’re definitely not supposed to plant much of anything in the shadow and root system of a black walnut tree. Oh well. I guess we’ll just have to wait and see how things work this year and try and make sensible notes for next year. I hesitate to call myself a gardener. I think I need some more triumphs under my belt before I will accept that grand moniker. Especially considering my recent rookie mistake: I was so excited to assemble my balcony planters that I put them together (looking adorable full of double impatiens in a warm, regal red, trailing ivy, bright orange gazania and deep burgundy coleus I might add) and promptly left them outside overnight during the only frost warning of the last 2 months. I had some logical explanation for this. Believe it or not I did think it through. I just made the wrong decision and I fear my coleus may not recover. In that I’m not fully ready to claim to be a gardener it’s at least safe to call myself an absentee gardener of some description. Most of the large-scale gardening work I do takes place at a farm house in a rural setting that I visit frequently but don’t live. The rest of the time I live in the city and eke out a garden via containers on my balcony and indoor house plants vying for the relatively small amount of sun I get each day. Currently my apartment also doubles as a potting shed and greenhouse (to varying degrees of success). So it’s kind of an odd patchwork garden kind of scenario. The last time we were in Lodi we planted some bigtime stuff: 2 different varieties of potato, two different varieties of onion, in addition to the rhubarb, garlic and various assorted herbs we’d planted in the fall. But I won’t see their progress first-hand for another two weeks. I guess that really I have the best of all possible worlds: I get the bustle of the city and the triumph of greenery growing around so much concrete, traffic and exhaust fumes as well as the serenity of the rural garden with the expanding horizon of farmers fields and nature blooming all around. Each has their benefits and each their detractions, but really when it comes right down to it I’m awfully lucky to have both! The Seed Catalogues Have Arrived! A few months ago my aunt suggested that it was time to order free seed catalogues in order to prepare for the coming gardening season. I scoffed and retorted that until I am a more seasoned gardener I won’t be growing much from seed. A few failed experiments last year were enough to (break my heart and*) reassure me that my gardening skill needs a helping hand in the form of pre-started plants. However, I did take her advice for no other reason than ordering seed catalogues in winter has the same affect that the Sears Wish Book used to have in September: you flip through the pages slowly with pure wonder and joy imagining what great times lie ahead. 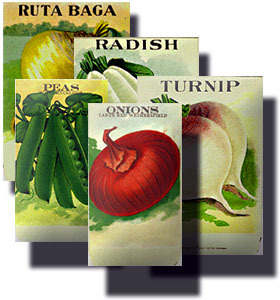 I also decided that the seed catalogues would be a great way to do research on different varieties of plants and to solidify what we can plant next year. This “planning” took the form of me cutting out pictures of all the things I’d like to consider growing (again, Sears Wish Book flashback). I roughly chopped out photos of crisp pickling cukes, luscious ripe strawberries adorned with tiny white flowers, handsome husked tomatillos and adorable orange cherry tomatoes while I flipped right by things like broccoli, cauliflower and page after page of squashes and gourds. Now that I have all of these funny little cutouts I intend to paste them into a scrapbook or perhaps (if I get really organized) a to-scale plan of the garden so that I can see what this garden-to-be might look like. I admit this whole idea is a bit grade 3 arts-and-crafts but it’s giving me a visual representation of my dream garden. And it doesn’t hurt that looking at lush greenery helps take the mind of the many days of flurries and overcast skies that we must endure before getting to the time we’ll actually breaking ground on our garden. *Ok, saying my heart was broken by my failed seed planting is admittedly a bit melodramatic, but somewhat well-founded. I took it in my head last spring that I wanted to replicate a lovely flower bed that my grandma had tended for years but which now sprouts only a few valiant tulips every spring. I was seduced by the colours on the seed packets and drawn in by the promise of bright, spiky dahlia, cheery shasta daisy and fragrant blue sage. And what did I get? Nada. Zero flowers even sprouted and the dream of gardening in my grandmother’s muddy footprints evaporated. 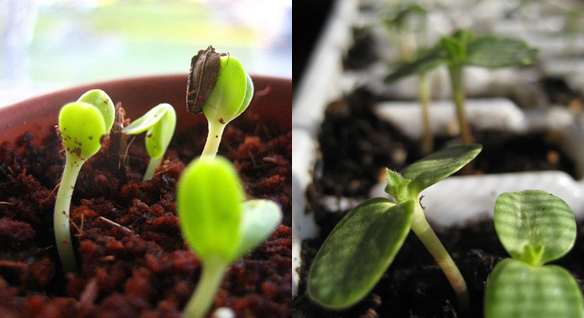 My other failed seed planting is a two-time lack of sunflowers. Sunflowers seem like a no-brainer: everyone has them. They grow like 8 feet high. And the two times I’ve planted them from seed I’ve gotten no where.